FORMER President Robert Mugabe (pictured) last week blew into the roof during inspection-in-loco at his former residence Zimbabwe House, protesting against suggestions that he donated some of his computers to his aides to secure his “escape” during the military’s Operation Restore Legacy last November. Speaking during cross-examination by lawyer Willard Madzimba who was representing presidential guard Pepukai Zvakavapano who stands accused of stealing Mugabe’s 119 laptops, the former Head of State reacted angrily to suggestions that he wanted to escape the country. Madzimbamuto had told the former President that he donated the computers to Zvakavapano to bribe him for a safe passage after his motorcade was blocked and searched by soldiers guarding the premises during the military operation. “To escape, never use the word escape on us, we never tried to escape, why escaping? From who? Escaping from security forces that were looking after us, escape to go where?” Mugabe shot back. 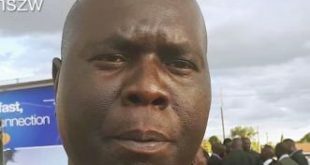 Zvakavapano has denied the theft allegations, insisting the goods were donated to him. The accused initially claimed he picked the computers from a bin at the Zimbabwe House and later said Mugabe donated the items to him. During the inspection-in-loco, Zvakavapano again changed his version of the events, saying he was given the computers by former First Lady Grace Mugabe. But, Mugabe shot down the suggestion saying his wife could not donate the computers without his consent. He also described Zvakavapano as a stranger to him. “I don’t know him. I never saw him, I did not donate anything during that time and I don’t donate to individuals. If I want to donate, I donate to schools. He (Zvakavapano) is still a stranger to me. My motorcade was never stopped for searches by the military, we were not stopped at all. I don’t know that my wife communicated with him. Why would she communicate with him, who is he to my wife? He is just a stranger,” he further told the court. Mugabe said he was the owner of the stolen computers and had left them under the care of his top aide, Wonder Nyamurima. 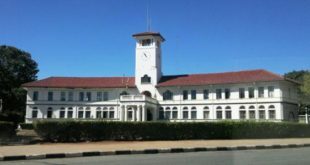 Allegations are that soon after Mugabe’s ouster last year, Nyamurima was instructed to store the former Head of State’s property at Zimbabwe House inside five containers in the polo grounds for security reasons. 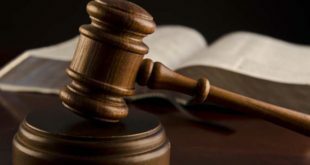 The State alleges on April 3, Zvakavapano and an accomplice only identified as Marega, were tasked to provide overnight security duties at the property. At around 2am, the duo allegedly broke into the containers and stole seven computer monitors, CPUs, keyboards, mouses, pads, 57 Inspur model laptops, 44 large and small Lenovo laptops, 18 HP printers, four Sahara and Mercer complete desktop computer sets, as well as two Xerox printers.